Recently came across an African proverb that says "Patience can cook a stone". But who wants to cook the stone when we can paint them.. right? 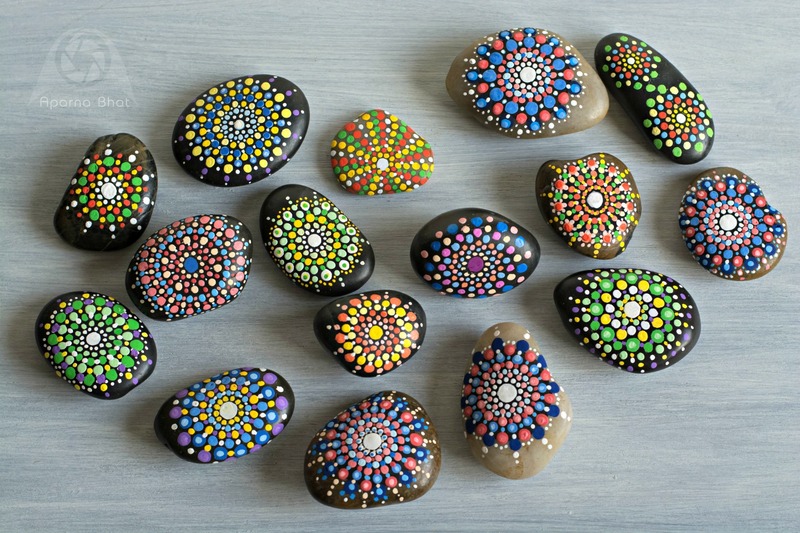 Painting on stones is such an awesome idea and the best part is they are therapeutic with their new look. Today's post is about Dotillism. Dotillism is a form of art introduced by Elspeth McLean. This was the video which inspired me to try this art form. As I clicked her other videos, she continued to amaze me with her mesmerizing creations!! They were not just intricate designs but skillful imagination with dots and color combinations, that put patience as well as focusing skills to the ultimate test. A fun art project, I added this to my personal to do list and headed to a nearby craft shop/plant nursery. I got hold of some black pebbles and white/cream pebbles, and tried my hands at mandala stones. You can see the completed work in below pictures. Once the painting is done, they can be used as paperweights or as showpieces to enhance the decor of your beautiful home/office/garden. You can also think of these unique hand made showpieces as gifting option to your loved ones. 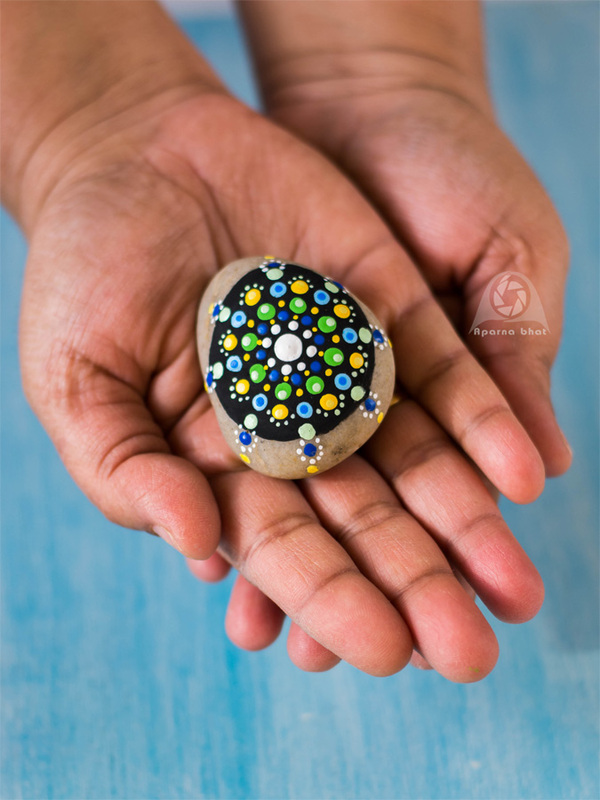 So unleash your creative expression and paint your own mandala stones. All you need is stones/pebbles, '0' size brush, acrylic colors, varnish for final coat and a steady hand. 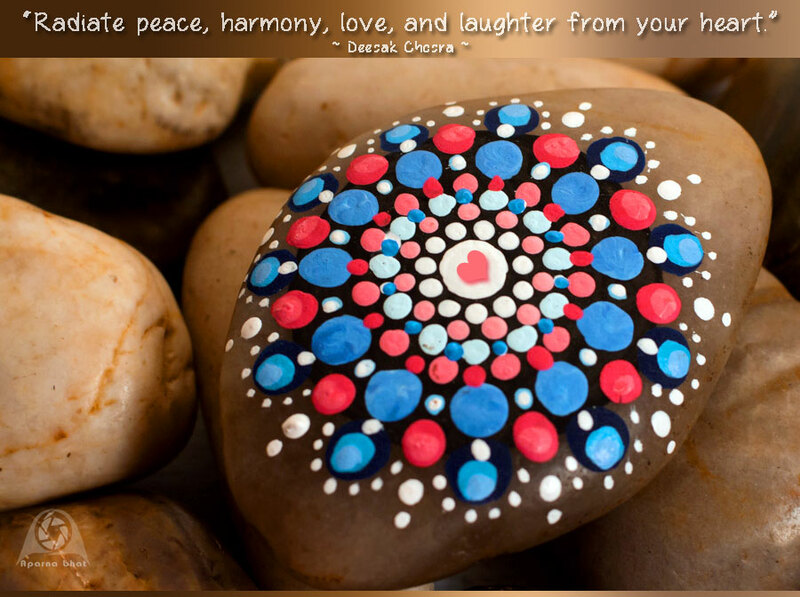 May be in the beginning, you can try with a small stone around 1 inch diameter. 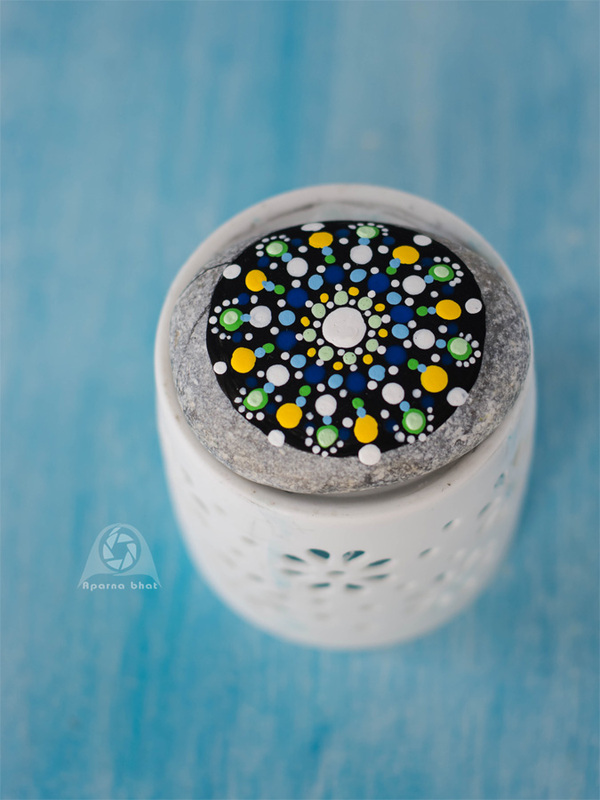 A simple video for those interested to know how to go about painting these mandala stones! Make sure you use good lighting/sit in well-lit room. After the painting dries completely, apply a coat of varnish for acrylics (matt finish) that will seal the painting and make it waterproof and dust proof.